I was fortunate enough to watch The Flaming Lips perform The Soft Bulletin in its entirety just a few hours ago at Hollywood Forever Cemetery. 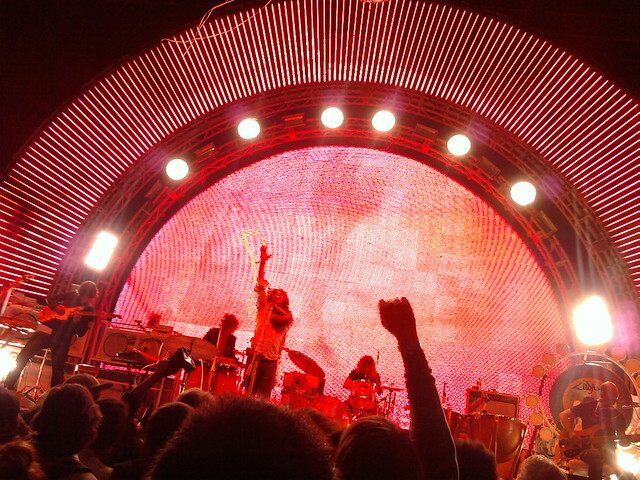 No combination of words can be formed to describe a Flaming Lips show, so I took over 100 pictures to do that for me. Enjoy! They’re playing again tonight, performing all of Pink Floyd’s The Dark Side Of The Moon. It’s sold out so if you can’t make it, find a scalper or try to get to one of the remaining shows on the tour. Every American should see The Flaming Lips before they die. Use the “Next Page” link below to see more pictures, or just click here to see them all.